Pasadena, near the Mission Gold Line Station. Text from the plaque: Watering trough errected in 1906 by Woman's Improvement Assn. as a rest stop for horses and men as they traveled between Los Angeles and Pasadena. 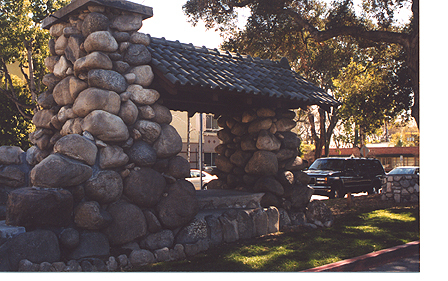 Restored by Woman's Club of South Pasadena, JRS-1968.